This month has been busy in many ways. 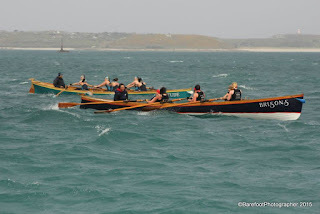 The first weekend I spent on the Isles of Scilly rowing in the world Pilot Gig Rowing Championships! Which was extremely hard, rowing in 4 races over 2 days in bad weather conditions. This is us in the far, lighter blue boat. Over taking the other boat! 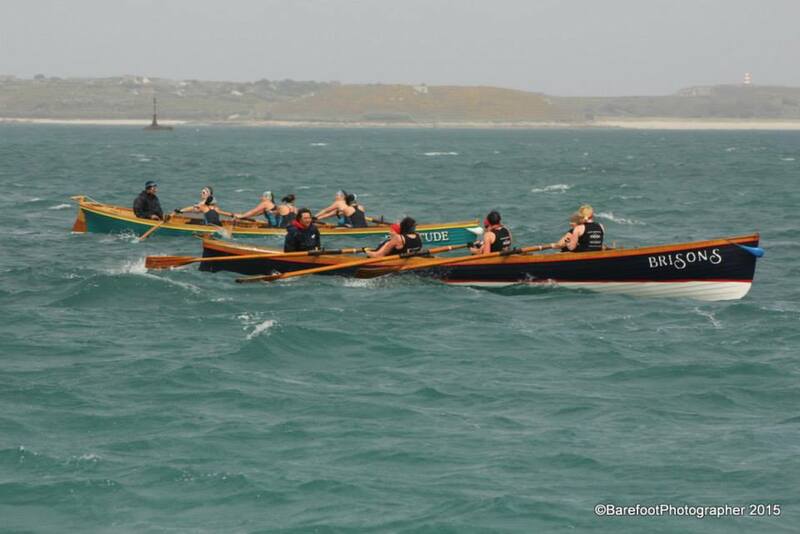 There were 151 boats from all around the world taking part, so it was amazing. Then I came back to St Ives, and back to work at the Leach! 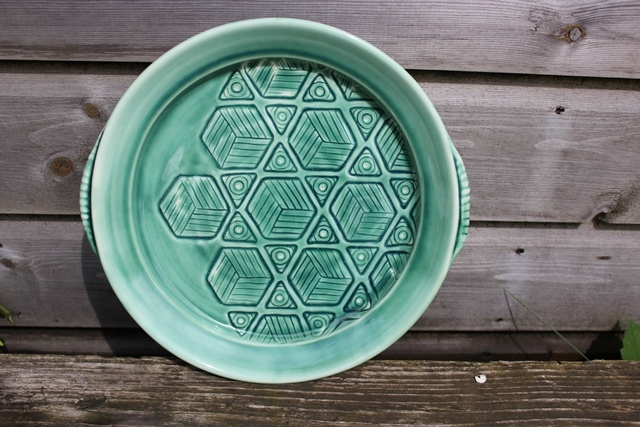 We have been working on a new porcelain range, which I have been helping to make. Kat and Roelof worked on the shapes and designs, then me and Kat have been throwing the pieces. I have done the milk jugs, creamers, small mugs and mugs. I has been good for my throwing, having to throw really thin and attaching handles to porcelain. 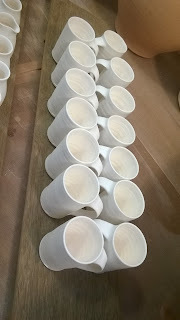 When I threw the mugs for the SeaSalt order they seemed a lot easier, after throwing the porcelain mugs. We also have a SeaSalt order this month, along with other orders. 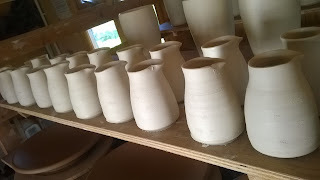 Everybody in the studio has been really helpful, looking at my work and giving me feedback and advice on what I need to improve or how to change the glaze slightly. At the moment I am mostly focusing on lidded pots and Platters. 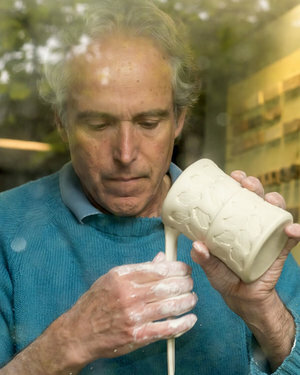 We have also had a resident potter this month. Barry Krzyswicki from Denver. He stayed in the house with us, so we got to know him and he gave me lots of advice and shared his experiences with me. He also teaches in America, so Barry has lots of useful tips and can recognise mistakes or aspects that need improvement.